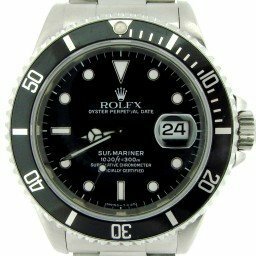 Rolex Submariner Functions with Precision to Depths of 1,000 Feet. 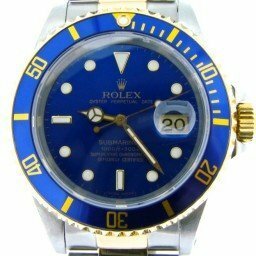 We are proud to offer a selection of used Rolex Submariner 40mm watches in stainless steel, two tone, and 18K solid yellow gold.  Additionally, they come in an assortment of colorful watch faces, bezels, and bands. 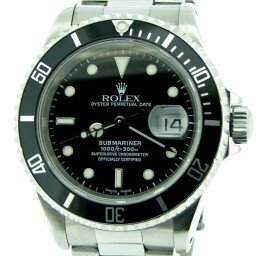 Also, we include a full diamond Rolex Submariner in stainless steel. 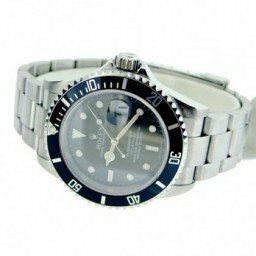 For similar sports models, visit our selections of used Rolex Sea Dweller or used Rolex Yacht Master. 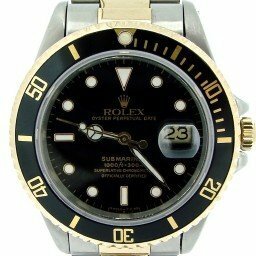 Either way, there is a luxury sports watch to fit any style and budget. 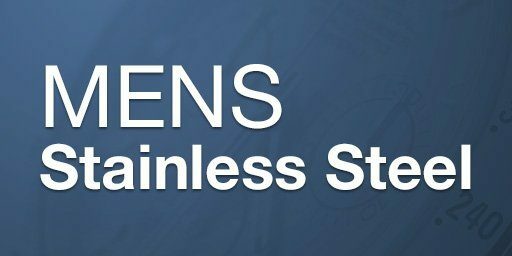 In addition, we offer a 30-day money-back guarantee, as well as a Lifetime TradeUp Guarantee on qualified items. Of course, we provide personalized customer service. So, don’t hesitate to contact us if we can help. 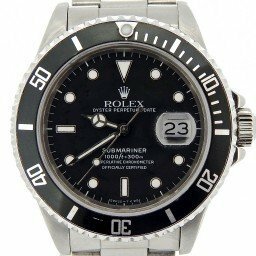 Boasting legendary status in the luxury watch space, no timepiece comes close to the recognition, prestige, and popularity of the Rolex Submariner. 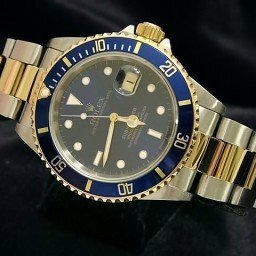 Gracing the wrists of celebrities, royalty, top athletes, and regular folk alike, let’s explore what makes the Rolex Submariner so popular. 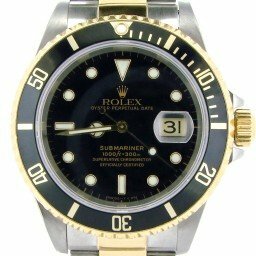 Making its debut in 1953, the Submariner joined the Rolex Oyster Professional line of watches. 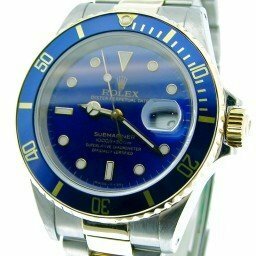 Leading up to what makes the Rolex Submariner so popular and differentiated with this particular line of Rolex watches from other Rolex timepieces was that Oyster Professional pieces were tool watches. 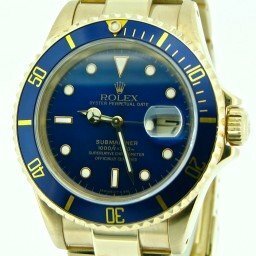 Indeed, the Rolex Submariner was built first and foremost as a diving watch. 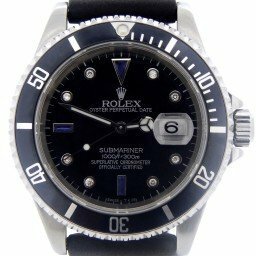 In fact, the Submariner was the first diving watch waterproof to 330 feet (100 meters) deep. 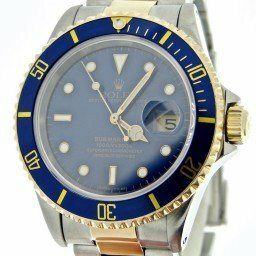 Perhaps, unbeknownst to some, Rolex had already developed sturdy dive watches with another now-famous watch brand, Panerai, for the Italian Navy. 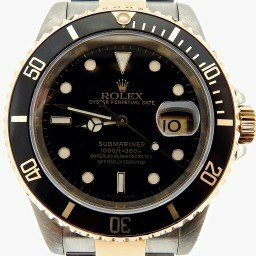 Rolex took what they learned with the Panerai project and applied it to create their own diving wristwatch. 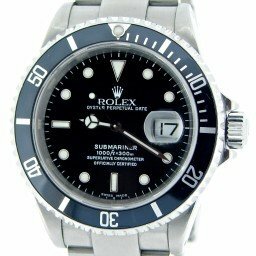 Sporting a 37mm case and crafted entirely in steel, the very first Rolex Submariner was the ref. 6204. 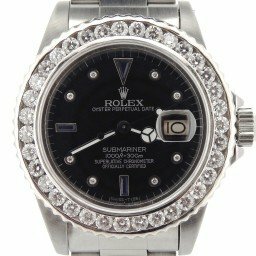 The Oyster case housed a black dial with luminescent hands and indexes for legibility under water, in addition to the rotating bezel to track immersion times. 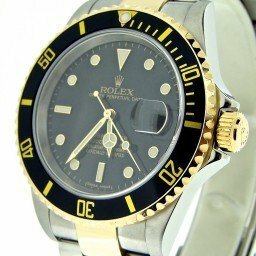 While the inaugural Rolex Submariner set the fundamental design codes, Rolex, of course, has modified and enhanced the iconic dive watch over its six-decade existence. 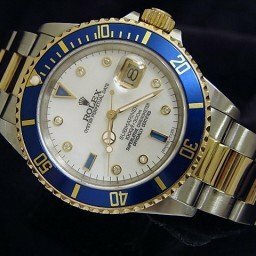 For instance, while early Submariner models did not include protection around the winding crown, Rolex added crown guards to later models for added robustness. 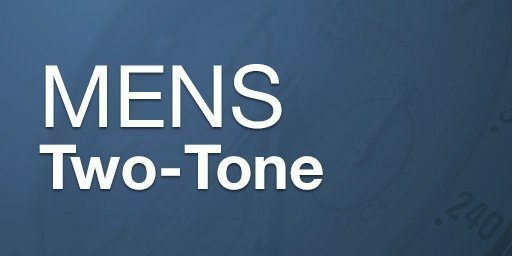 Furthermore, other cosmetic evolutions included Mercedes-style hands, sapphire crystal, alterations in luminescent materials, and so on. 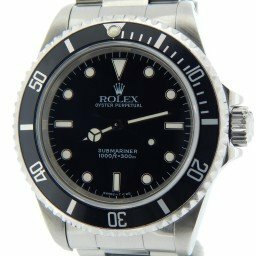 In the mid-1960s, Rolex added a date version of the Submariner with the ref. 1680. 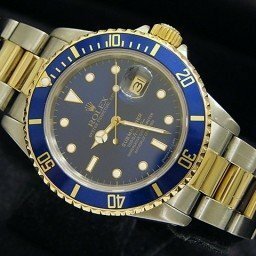 A few years later, in 1969, Rolex offered a yellow gold Submariner with the ref. 1680/8. 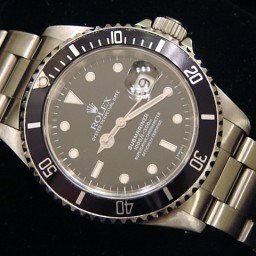 This factor contributed towards what makes the Rolex Submariner so popular. 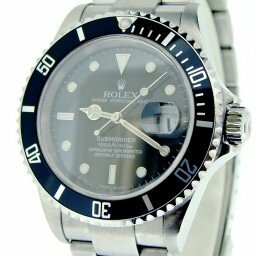 These new Submariner models signaled a move from a tool watch position to a more luxury sports watch approach. 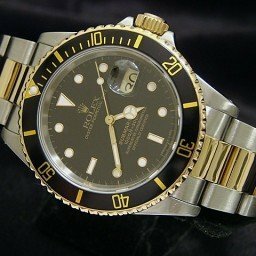 This is further emphasized when the Submariner becomes available with diamonds and other precious gems. 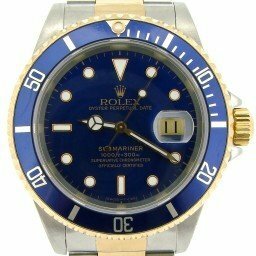 In the early 1980s, Rolex rounds out the Submariner collection with the two-tone Rolesor ref. 16803. 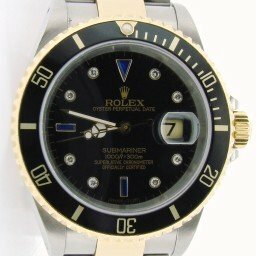 The most recent change to the Submariner was the inclusion of the Cerachrom ceramic bezel in 2008. 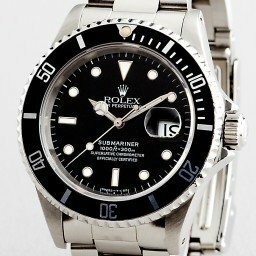 A material prized for its resilience to fading and scratching, Rolex has now furnished all Submariners with Cerachrom bezels. Today, the Submariner collection is a varied one. 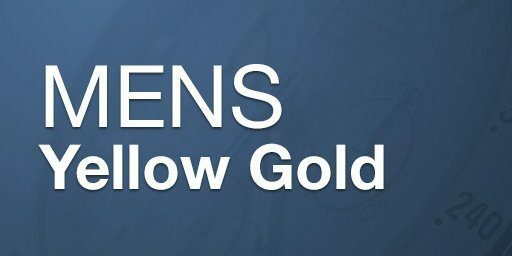 There are models in stainless steel, yellow and white 18k gold, as well as two-tone versions. Plus, there are non-date and date models. And let’s not forget about the various colors including black, blue and green. 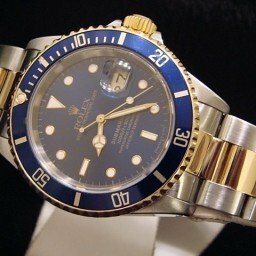 Thanks to its killer looks, technical capabilities, illustrious history, and steady evolution, the Rolex Submariner will continue to be the world’s most beloved luxury sports watch for a long time to come. 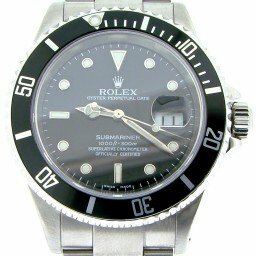 You can check out an elegant selection of used Rolex Submariner watches here at BeckerTime. 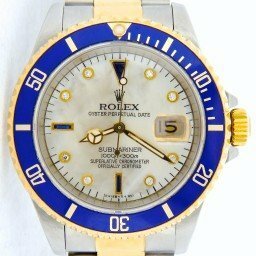 1954 First Rolex Oyster Perpetual Submariner introduced at the Swiss Watch Fair of 1954 (Ref. 6204 and 6205). Built for diving, the watch had a water resistance of 180m. Also in 1954, Mercedes hour hand added to all Submariners. 1955 Ref. 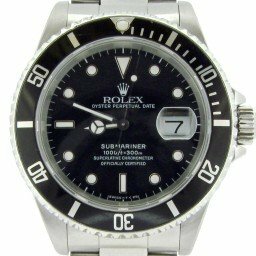 6536 (small crown, water resistant to 100m) and Ref. 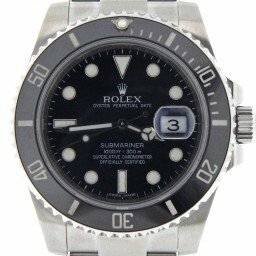 6538 (large crown water resistant to 200m) replace the 6204/05. These new models feature the Rolex Caliber 1030 with bi-directional winding rotors. Both models were certified as Chronometers later in 1955. 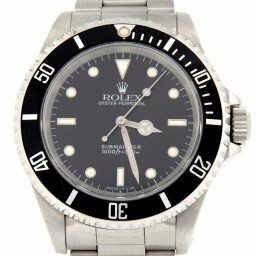 1958 Rolex 6536-1 (Chronometer version of the 6536) and the 6538 are replaced with the Ref. 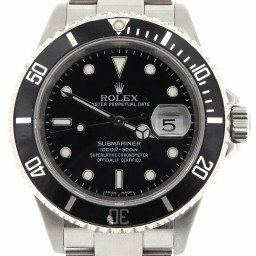 5508 and 5510 with the same water resistance rating as the models they replaced. 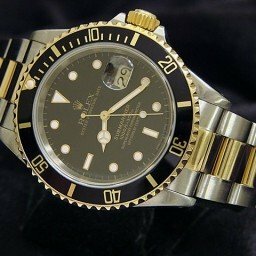 1959 Rolex releases the Ref. 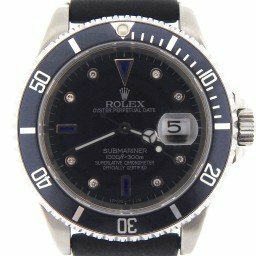 5512 Submariner, followed by the Ref. 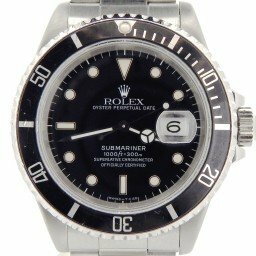 5513 Submariner in 1962. Both models have big crowns and crown guards. Ref. 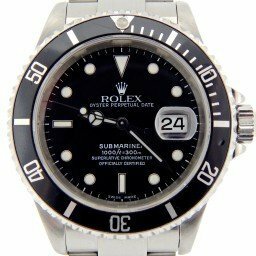 5512 was Chronometer certified but 5513 was not. Both the 5512 and 5513 feature a 200m water resistance rating 40mm in diameter. Notably both models stayed in production far longer than their predecessors with the 5512 stopping production in 1978 and the 5513 until 1990. 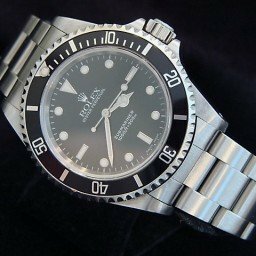 1965 Rolex releases the Ref. 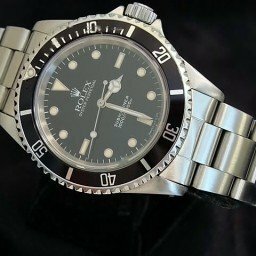 1680 which is the first date model Submariner. 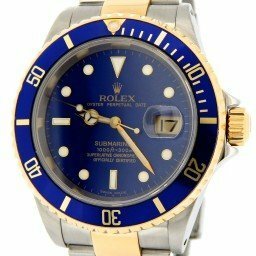 1969 Rolex introduces the first Submariner Date in 18k yellow gold – Ref. 1680-8. 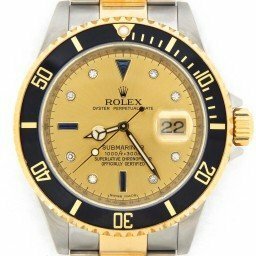 1972 Rolex releases the Ref. 5514 exclusively for COMEX. 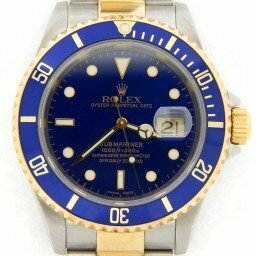 1977 Rolex introduces the 168000 Submariner Date with a sapphire glass crystal (replacing the plastic crystal used prior to 1977). 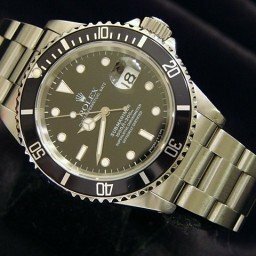 The 168000 was also the first Submariner which was water resistant to 300m. 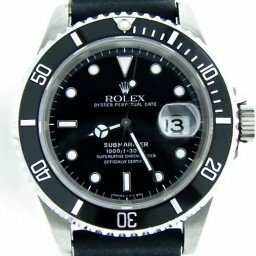 Also that year, Rolex in collaboration with COMEX developed a helium gas release valve to allow helium the escape the watch before critical destructive pressure levels are reached during decompression from extreme deep sea dives. 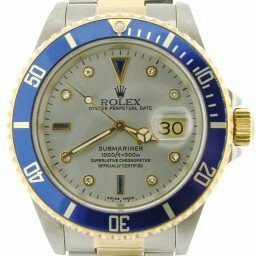 1983 Rolex introduces the first “Rolesor” yellow gold and stainless steel (two-tone) Submariner. 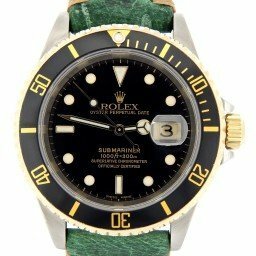 1989 Rolex releases the first Submariner (Ref. 14060 and Ref. 16610) with a movement beat speed of 28,800 vibrations per hour (VPH). 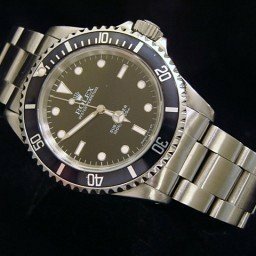 2002 Late “Y” series production Submariners released with no-holes in their case lugs. 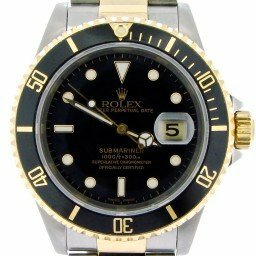 2004 Rolex releases the 16610LV to celebrate the 50th anniversary of the Submariner. 2007 Rolex begins sending the Ref. 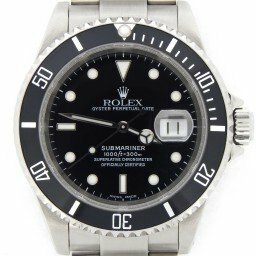 14060M Submariners to COSC for Chronometer certification – the first non-date Submariner to be COSC certified since the 5512 stopped production in 1978. 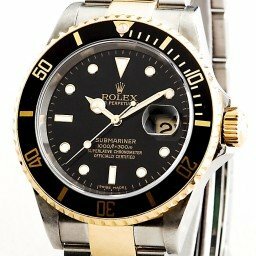 2008 Rolex debuts the new Submariner 116619 at the Baselworld Watch Fair – a re-designed Submariner featuring a “CERACHROM” bezel, Maxi Dial, and “Supercase” with larger lugs and guards.